Twenty-two shows. Nineteen cities. One massive party. 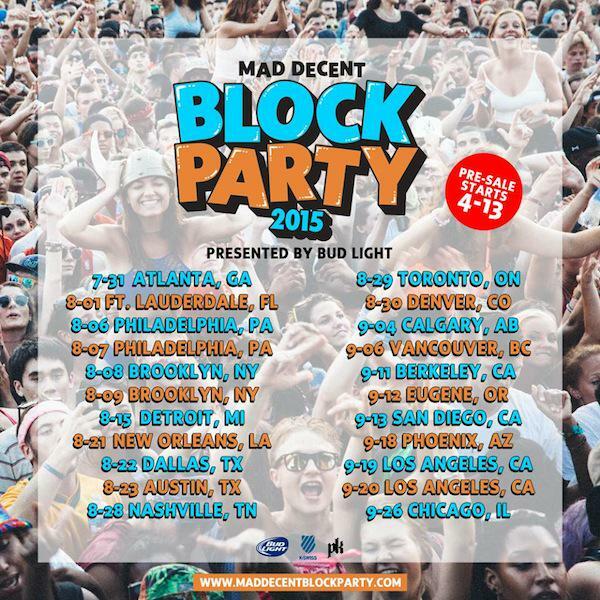 The Mad Decent Block Party rolls back like a juggernaut this summer after a wildly successful 2014 tour. Artist lineups will be released at a later date, but rest assured you'll be glad you jumped on tickets early, because a crazy all-star lineup is guaranteed. Each city will feature a different set of performers. Ticket presales start here April 13 at 12 noon ET, and the tour kicks off in Atlanta on July 31, 2015.